Join us Pre-Thanksgiving weekend. Explore the 2016 vintage with our flight of estate wines. Relax by the patio fireplace, stroll the labyrinth and take in majestic views of the valley. Sip and shop our selection of large format current releases and library wines, wine gift sets, merchandise, and more. $30 Tasting fee includes light bites and wine flight. No dogs please. Open 11-5. 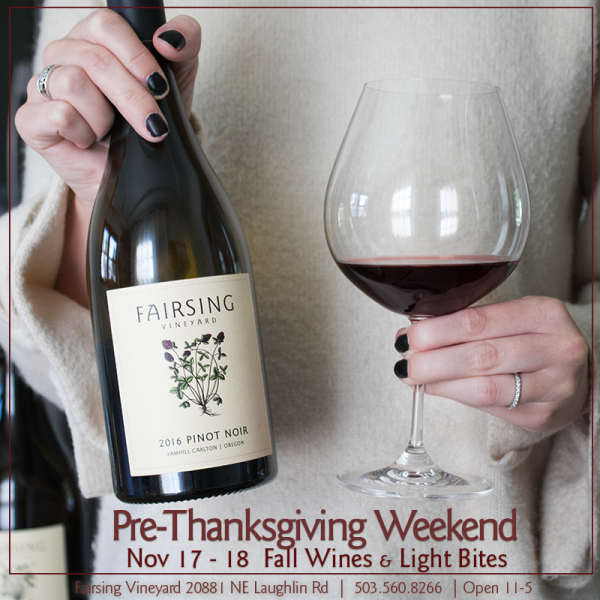 Groups of six or more kindly contact tasting room 503-560-8266 in advance to confirm availability of accommodations.